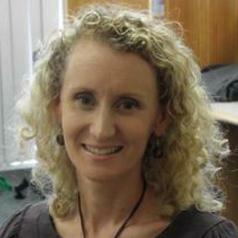 Dr Sandra Pavey works at the University of Queensland Diamantina Institute in Brisbane, Australia. Her areas of research focus on the role of UV radiation in the development of melanoma. She is investigating the involvement of cell cycle checkpoints and biochemical pathways in repair of UV-induced DNA damage within cells of the skin, and how defects in the normal repair pathways may lead to the development of melanoma.